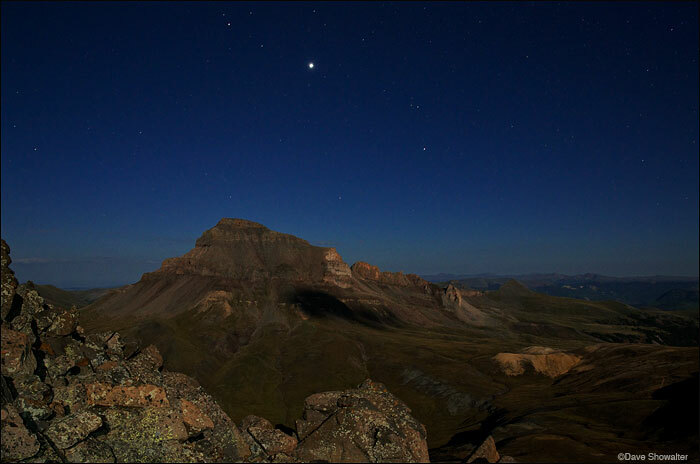 While climbing Matterhorn Peak under a full moon, we stopped to admire (and photograph) Uncompahgre Peak in moon light. Uncompahgre Peak stands an impressive 14,309 feet and is humongously broad - it's one of the most remarkable peaks in Colorado. Photo © copyright by Dave Showalter.